As we poured, we compared notes on our preferred standard bourbons… names that came to mind included Blanton’s, Elijah Craig and yes – Four Roses… ideally with a nice large chunk of ice. However, true to our tasting traditions… we sampled each first neat, then some added water, then each bourbon was set aside until all were tasted for a revisit… followed by closing which whisk(e)y we thought could best partner our cigar. Overall? We were reminded of why this bourbon came to mind in our collective short list. Truth be told, most of us are not typically bourbon drinkers unless it happens to be cocktail hour! In which case, having a base with more power is preferred. 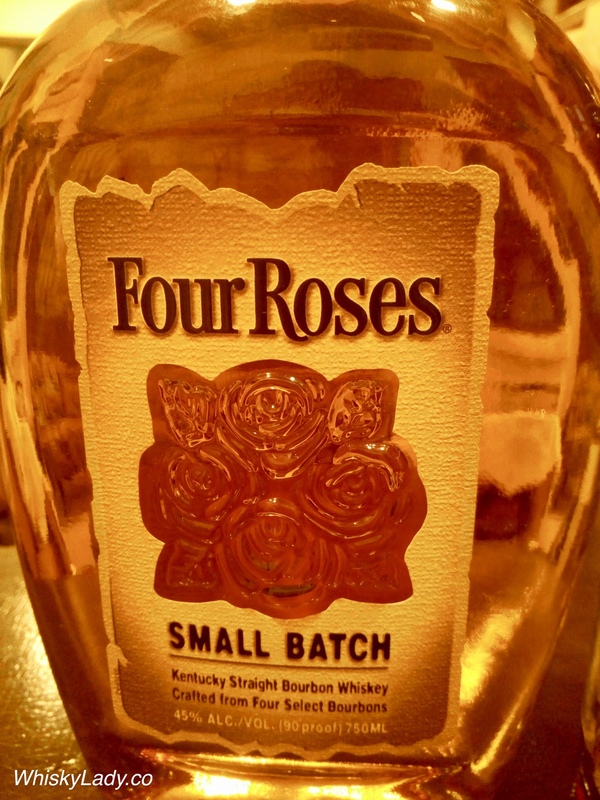 As for what the folks over at Four Roses have to say? Nose – Mellow spice, rich fruit, hints of sweet oak & caramel. Palate – Mellow, ripened red berries, dried spice, well-balanced, rich. Finish – Soft, smooth & pleasantly long. We tried it from a closed bottle in Mumbai on March 2019. As for what this would set you back? It remains quite affordable… currently selling on Master of Malt for approx $30. 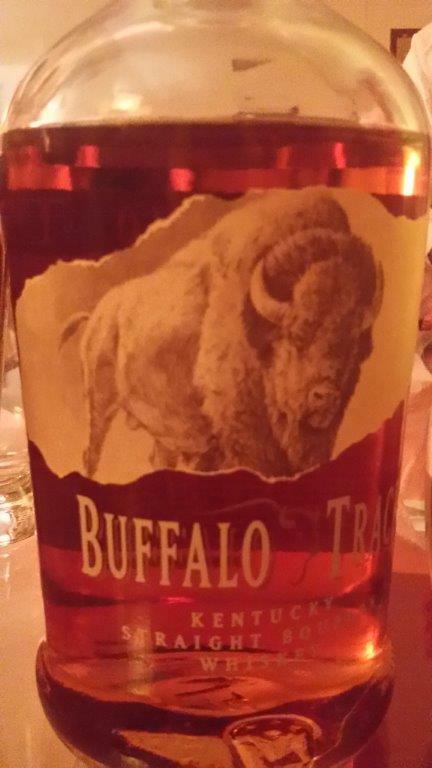 Last in our trio of bourbon’s at 1602 Dundas was a dram from Buffalo Trace distillery in Kentucky who produce Blanton’s, W. L. Weller, E. H. Taylor and Buffalo Trace among others. 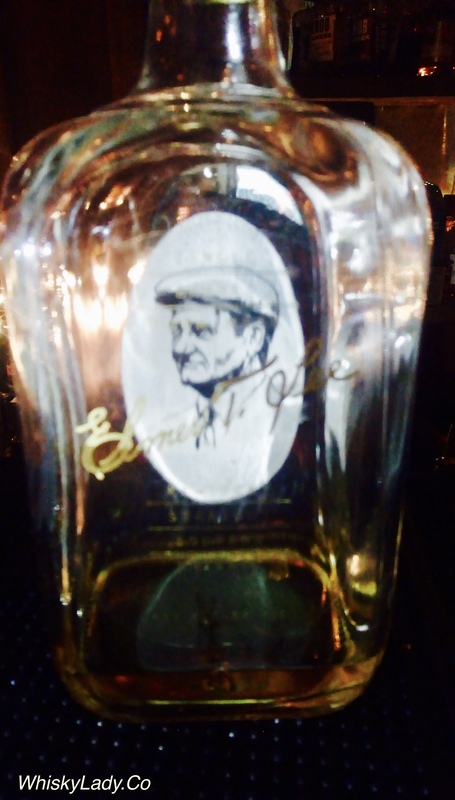 Elmer T Lee is named after their Master Distiller Emeritus Elmer T. Lee. Elmer T Lee has the clear and unmistakable stamp of Kentucky Bourbon character – lots of fruit, spice, bold and impossible to ignore. Complex and addictive. Scents of cinnamon, hazelnuts, and dried fruit precede big flavors: cinnamon spice, raisinated and plummy, like Madeira or Sherry. Long finish, with a bit of a bite. Score – 97. (Kara Newman, Wine Enthusiast, Sept. 2010). It was an interesting departure to take a little tipple trip to Kentucky. 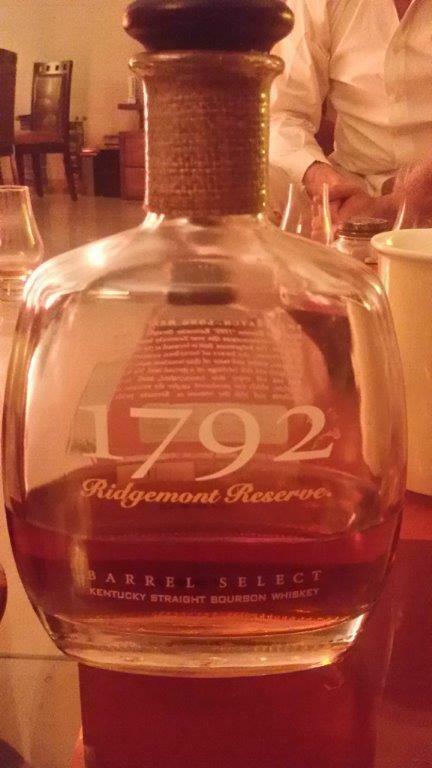 Next up in the Kentucky straight bourbon revisit is Sazerac Barton’s 1792 Ridgemont Reserve. This bourbon is named after the year Kentucky became a state. Originally released as an 8 year, since 2013 the distillery removed the age statement. There was also a wee bit of a kerfuffle over using ‘Ridgemont Reserve’ which apparently people confused with ‘Woodford Reserve’ hence if you search for a bottle today, may only find it labelled as 1792! Speculation was likely a straight bourbon with rye – turns out we were right! Unveiling: The distinct feature of this bourbon is that it is produced in small batches. For my vote, this is an uncomplicated, affordable bourbon with a dash of rye that could rock as a base for cocktails or an easy option to have on hand for parties. However, given the difficulty obtaining ‘phoren’ (that’s foreign folks!) whiskies in India, this wouldn’t be a top priority bringing back after a trip abroad. Unveiling: Straight bourbon with wheat substituting for rye. Like many other bourbons, what is eminently reasonable as a daily dram in the US is well neigh impossible to find and hardly affordable in India. A sweet nose with a presence of caramel. Tasting notes of honey, butterscotch, and a soft woodiness. It’s smooth, delicate and calm. Features a smooth finish with a sweet honeysuckle flair. Taking our usual approach we tried ‘blind’ then unveiled! 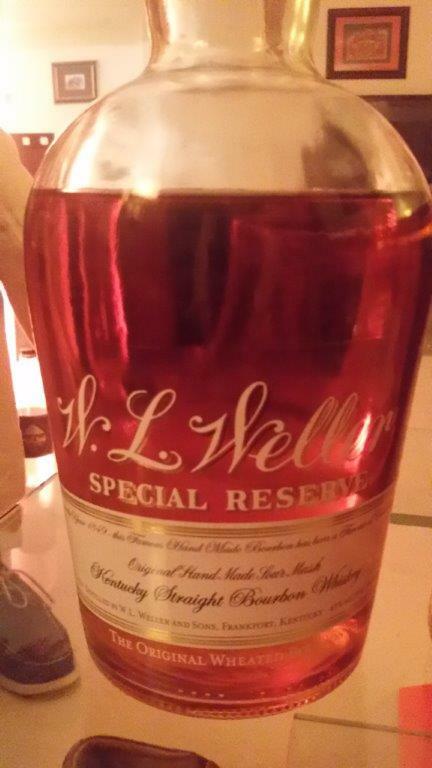 We sampled back in the day when this was still a 12 year bourbon. Now it has been replaced with a NAS version which they say contains whiskey between 8 to 12 years…. We found that it is just what we’ve come to expect from a bourbon! Nothing complicated or nuanced, just good old straight up Kentucky bourbon. And if you happen to be in the US, its cheap too! 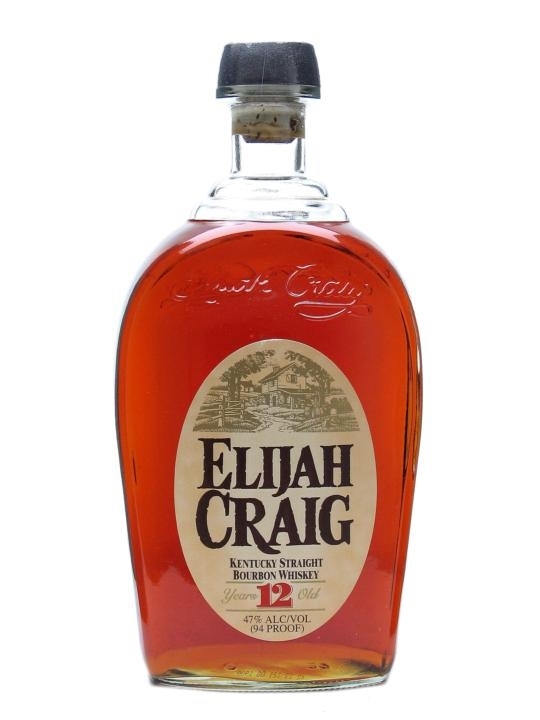 Elijah Craig 12 is named after Bourbon folk hero Reverend Elijah Craig. The commercial legend is that Rev. Elijah Craig was the creator of Bourbon. An early Kentucky distiller, he founded his distillery around 1789, but the story goes he was first to give Bourbon its unique characteristics. Apparently some of his whiskey barrels became charred in a fire, which is a key process in the making of modern Bourbon. The accidental results were apparently favorable, and thus, Bourbon was born. That’s most likely not true, but every Bourbon needs a story and that’s a good one. The Whisky Ladies of Mumbai!